Each January, designers from around the world take a pilgrimage to Paris to attend the Maison & Objet show. 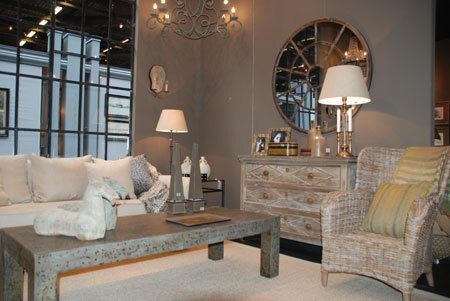 The event encompasses textiles, furniture, lighting, wall décor, fine china and crystal. Attendees return home with a bouquet of inspirational ideas to begin the year afresh. We spotlight some of the most exciting finds and design trends from this year’s spectacle below. 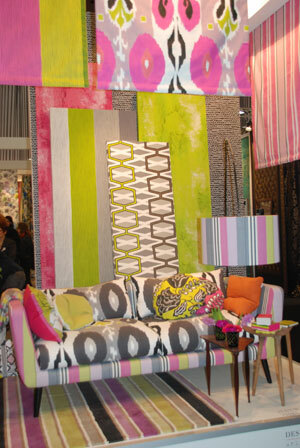 Textiles company Designers Guild displayed several eye-catching combinations such as a damask and stripe pattern on linens and velvets done in soft pastels of lemon yellow, light green, blue and gray. Another bold color combination mixed bright pink, chartreuse green and gray on Ikat and geometric prints. 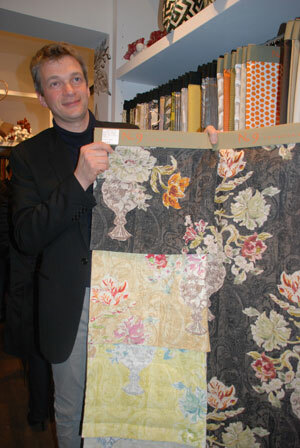 In contrast, Etro displayed a lovely gray and lavender paisley bed linen ensemble. In terms of furniture, glamorous, curved pieces with tufted backs are making a comeback. Companies with of-the-moment designs include Flamont for classic and JNL for modern pieces; both are based in Belgium. One of my favorites, Becara of Spain, showed relaxed, oversized sofas covered in neutral-colored linens and hand-embroidered fabrics paired with distressed furniture for a casual elegance. On the lighting front, “oversized and industrial” was the mantra of the show. The French company “mis En Demure” has a nice display of classical and modern-inspired lighting with still-popular drum lamp shades. In terms of elegant table settings, Theresienthal crystal from Germany had one of the prettiest new patterns, “Samira,” on display. Managing director Max von Schnurbein points out that “The beautiful new modern pineapple-cut pattern gives the customer a tactile-sensation of feeling the pattern in one’s hand.” The hand-cut etching was ergonomically designed on the curved part of the glass so it perfect fits in one’s hand. For everyday dinnerware, French manufacturer Gien paired cobalt blue with plum for a bold effect. In contrast, neutral gray-cast white ceramics still remain popular. This style was found among such well-known manufacturers as Costa Nova from of Portugal and Regards of France. Sweden’s Sia Company displayed silk floral table arrangements in of either soft pastel colors of light pink, green and blue, as well as bold colors of orange, purple and pink paired with modern, industrial lighting. At Maison this year, there was a style and color palette to please almost anyone, from bold colors and modern geometric prints to soft colors and classic designs. For the traveler in search of new ideas, Paris, the “capital of creativity,” never disappoints. Writer Rose Winston is the principal of Rose Winston Designs; www.rosewinstondesigns.com. The pineapple-cut mirror pictured above is really cool!